Acro Dance is a style of Acrobatics used specifically for dancers. It is a genre of dance which incorporates elements of gymnastics, jazz, balancing and contortion. 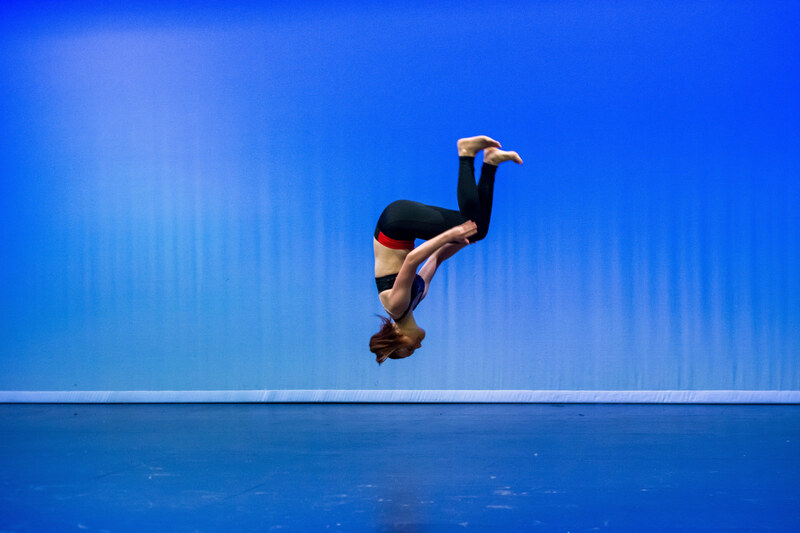 Students learn Acrobatic tricks such as handstands, cartwheels and aerials, chest stands, elbow stands and walkovers. Trick movements are usually executed slowly to emphasise gracefulness, body lines and picturesque extension. Acro Dance offers more depth and variety to your dancing and creates a much more versatile dancer. To master an Acro Dance trick, students must develop a good foundation of strength and flexibility, thus emphasis is placed on extensive conditioning and stretch and strength training. When students are learning new tricks, the teacher utilises professional spotting techniques; which is necessary to ensure safety and build confidence. Every acro class has two qualified acrobatics teachers!